Often left due to it sharing symptoms with other illnesses, Lyme disease is on the rise, and you should know what to look for to stay safe. According to the Center for Disease Control, every year in the US, 300,000 people are diagnosed with Lyme disease, and it is often assumed that the number of people infected is actually higher due to cases where the patient was misdiagnosed. The problems brought on by Lyme disease care substantial, and unfortunately, doctors can occasionally mistake it for fibromyalgia, chronic fatigue syndrome, and other conditions. This difficulty in diagnosis comes from the fact that Lyme disease is known to mimic many other diseases through its symptoms, making it incredibly difficult to detect. Lyme disease is found on every continent except for Antarctica, and tick populations have grown 40% since 2016 which increases the risk of contracting Lyme disease. 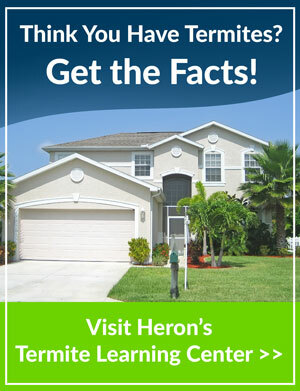 At Heron Home & Outdoor, we offer comprehensive pest control services to help keep pests away. Call us today at 1-877-772-0826 for your free same day inspection.